Sounds and looks like the perfect summer drink. This is a fantastic idea! I've never heard of this drink before and not being much of a drinker, it would be perfect for me to sip at our next BBQ! 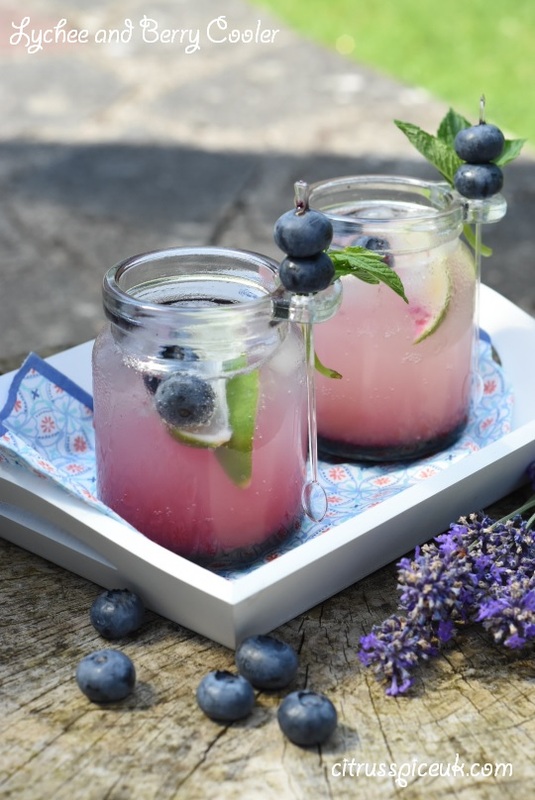 This is a fab looking summer mocktail. I am going to try this. This looks like a perfect drink for summer - I adore the presentation too. I hadn't tried lychee juice until recently when I was given a free taste in a shopping centre. I couldn't believe what I'd been missing out on all this time. Your mocktail looks and sounds so very refreshing and delicious. Oh my goodness, this looks super yummy! Looks really easy to make too! These sound and look really refreshing and tasty. I would love to sit in a beer garden on a warm day with one of these! Big fan of lychee, berries not so much. Excited to try this! Ooh this sounds like a wonderfully refreshing beverage that I could enjoy any time of the year. I need one of these for sure! Those flavors sound great and I think this would be a really impressive drink to bring out for guests. I love lychees! Especially the fresh ones as they kind of look like little eyeballs when you peel them, lol! 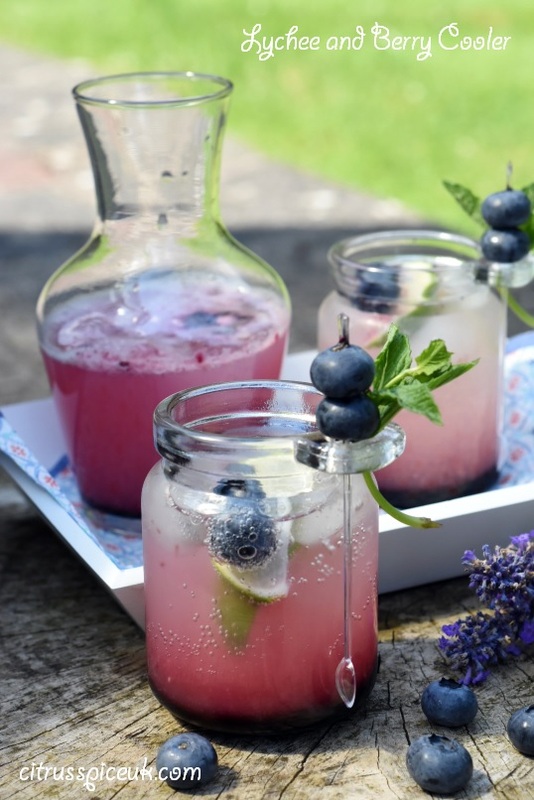 Love the sound of this recipe - very refreshing and summery! As I can't drink for another 3 months, I am looking for some delicious mocktails to try and I am adding this to the list. This looks gorgeous! I love lychee juice but don't have it nearly enough. It sounds perfect in this stunning mocktail. I'm rubbish at making mocktails - this looks so lovely, I should save it for when I next need to make one! Berries taste great in mocktails and smoothies, I am yet to try a lychee mocktail but it sounds yummy! I love coolers all time. Not just summers. Sounds perfect to me! 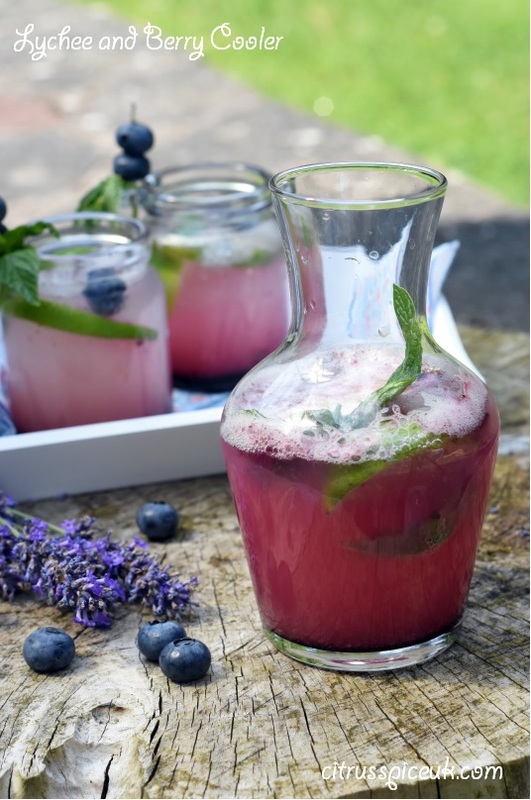 A refreshing and gorgeous looking recipe! I love the tumbler and it's little spoon holder on the side! I think lychees are my favourite fruit ever, but they're always so hard to find in the shops, so I love the idea of using lychee juice in this instead! Will keep my eyes peeled for that. In the summer I love anything that's fruity and cold, especially when it's a mocktail! What a pretty drink - I love the colour, and I can just imagine that the flavours go really well together! 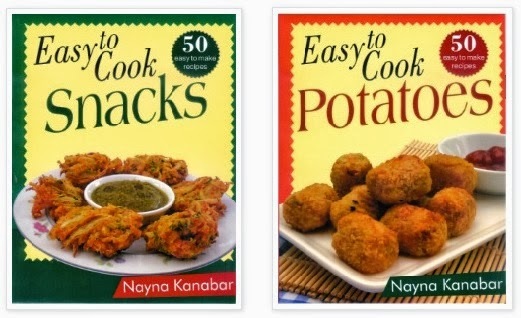 That sounds super tasty and refreshing Nayna and it looks just beautiful. Such a pretty colour and sounds so refreshing! This looks like an amazing summer's drink, I wonder what it would be like with prosecco... might give it a try for a BBQ I'm hosting this weekend. 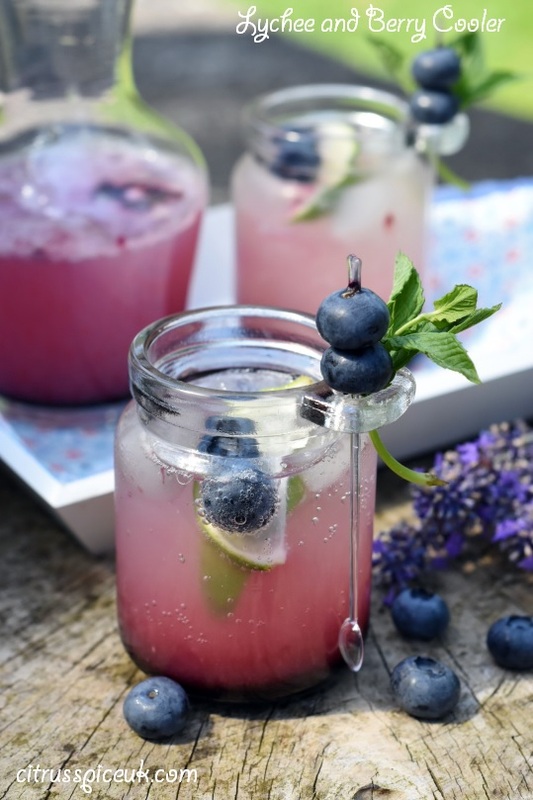 This mocktail looks really refreshing! Love the little blueberry garnish! I really love Lychees and think that they are not used to their full potential. I really never tried Lychee. Will have try it. Sounds nice and refreshing.